When looking for a billing system, you want to choose one that is packed with a wide array of functional features so that you can have the most comprehensive automated billing system environment. This can make your business much easier to manage, and you can store data and information in one central location and access it whenever you need it. The best part about the Blesta billing system is that the interface is extremely easy to navigate and you can enjoy a wide array of specialized reports that detail how your business is operating. If you need an expandable billing system management and help desk software program, Blesta will meet your current needs and can grow with your business as you gain more traffic to your site and generate more long term business. Blesta can provide you with a comprehensive billing solution that you can use even as your business expands and so much more. Blesta staff members are steadfastly dedicated to being an open, modular management system, and the features and help desk software are very developer friendly. They do not encode many of their files including modules, gateways, and templates so that you can customize and create your own specific system tailored to your needs. Blesta is by far one of the most developer friendly billing systems on the market, and this has really allowed them to excel since developers freely embrace the platform. Another great thing about Blesta billing system and help desk software is they have over 22 payment gateway modules, and it is an impressive display that shows how Blesta is willing to work with almost any gateway provider. Furthermore, Blesta can be integrated with cPanel, Plesk, DirectAdmin, and many other control panels because of the automation modules that allow for easy integration and migration. If you use one of the major control panels, you can rest assured that Blesta billing system and help desk software will be compatible. Billing systems are very important to online business and probably the most important aspect out of all the components that make of the success of an online business. If you find yourself unsatisfied with your current billing system and wish to move to another but not sure how to go about this, we suggest you try a few demos! Some of the top billing systems on the market currently are, Blesta, WHMCS and ClientExec. What makes these billing systems better than the rest? We will briefly go through each one and show you why we recommend these to anyone. As you read through, keep in mind your specific requirement as this will make choosing a new billing system much easier. If you are undecided, don’t worry; as a licenses provider we offer each of these billing systems with a demo so that you can see first-hand if it is the billing system that will suit your needs. 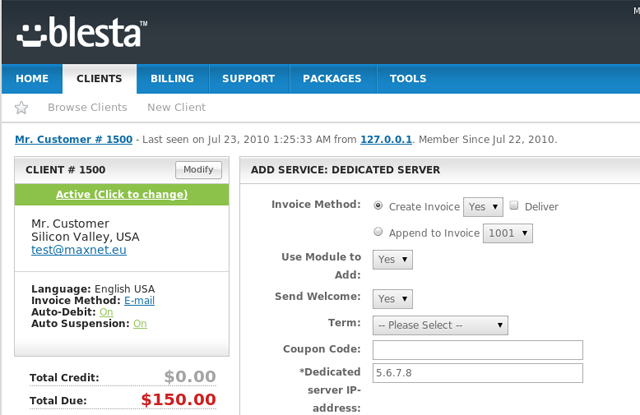 If you need a billing system that includes billing, support and client management, Blesta is for you. Blesta can seamlessly integrate into a variety of business types, whether it be development, web hosting and many other niches because of its modular design. 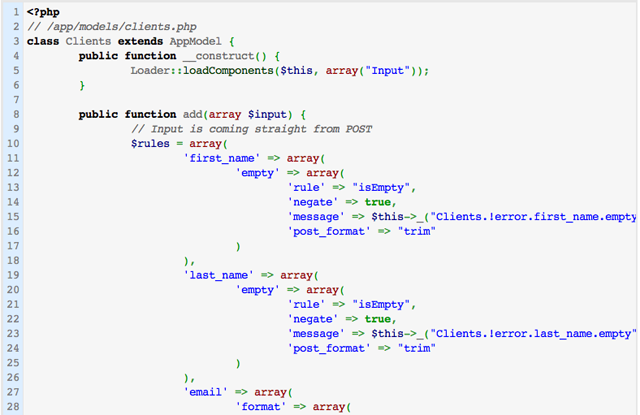 The design is clean, fully automated and developers will find the many unencoded modules a plus. 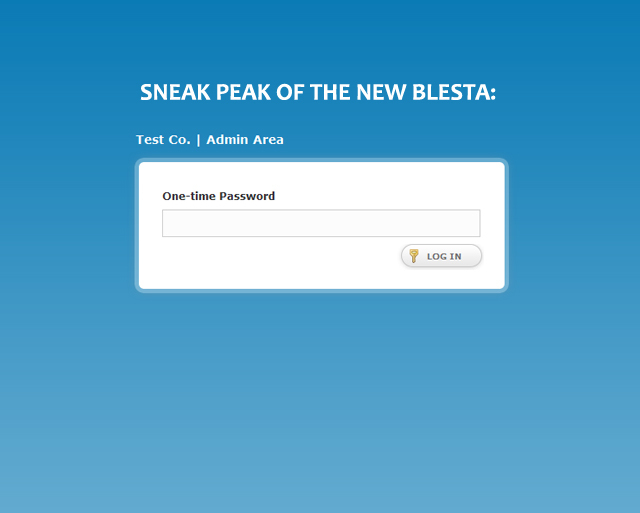 If this sounds like a billing system that would work for you, why not try the Blesta Demo! From signup to termination, WHMCS handles it all. If your business is on subscription-based services, you will appreciate the easily customizable features. WHMCS is developer friendly, includes a support center, features a module library and can automate your provisioning. If this looks like a billing system that will integrate well into your business, try a WHMCS Demo now! If you are a reseller needing a wide-selection of plugins and features, ClientExec is a great option. ClientExec can integrate into almost any control panel you are using. The interface is easy to navigate, is easily customizable and integrates into most payment gateways. If you are a reseller looking for a great billing system, try the ClientExec Demo! Searching for the right billing system is hard. Trying demos out can be a great start in this process. No matter which billing system you find to be the perfect one for you, we hope this will help make the process a little easier.